Brandenburg Gate, Berlin in winter. This was a quicker 40 minute sketch from Berlin. A city under constant change. Brandenburger Tor sits on the sight of the old city gates. Built in 1791, it stands as a symbol of Germany’s (and Europe’s) tumultuous history. Most certainly an iconic piece of architecture. 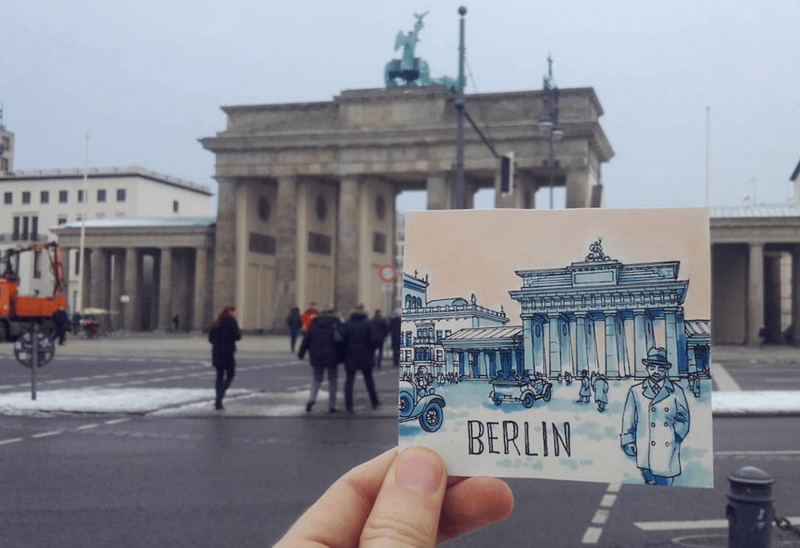 Berlin has always been one of my favourite cities.